During the busiest times of year the Boston rental market can get quite competitive. How do you stand out from the rest of the applicants? What should you have with you before you start to look? We want you to be prepared, so that once you identify your ideal place we can present your complete application to the landlord. Here is what you will typically need to take an apartment off the market in Boston. In the technology age more and more landlords are treating an applicant's credit report as the strongest determinant on whether or not they will rent to you. In some cases your credit profile may prove to be more important to a landlord than how much income you earn. Before you begin looking for an apartment (or to purchase) you should check your credit report to make sure there are no surprises on there that might impact your chances of getting an apartment. By law you are entitled to one free copy of your credit report, each year, from each of the 3 credit agencies (Equifax, Experian & Transunion). All you need to do is go to AnnualCreditReport.com to download a free copy of your report. Check your credit report in advance, and if you notice any errors try to correct them. Most landlords or management companies will want to pull your report themselves at the time you apply, so we suggest you only pull your free annual report. You may have little or no credit. That's ok! But be prepared to provide other documentation if asked. This may include bank statements or other proof of assets that would help show you can afford the apartment. You may likely also need a co-signer. Having great references can prove to be very important when searching for an apartment. The longer rental history you can show, the better. Landlords like to see a healthy rental history whenever possible. If you were previously renting from a private landlord, we recommend giving them a call to tip them off that you are looking for a new apartment and that someone may be contacting them soon for a reference. That way when they get the call it's not a complete surprise to them. If you are renting from a management company or complex we recommend also contacting them in advance to make sure there is no release form or paperwork needed on your end in order for them to release a reference. Having this out of the way will help in getting your reference back faster. If you have a pet consider getting a pet reference as well. Any type of behavior training certifications or a photo of your pet could be helpful in putting a landlord's mind at ease. Talk to your previous landlord(s) in advance. If you can get a reference letter in advance, even better! Talk to your previous landlord(s) in advance (if you have one). Student housing and sorority/fraternity houses can also act as references as well. If you can get a reference letter in advance, even better! It's important to note that even if you make below what this affordability chart shows, it doesn't mean that a landlord won't rent to you. Landlords can sometimes make exceptions to their policies when looking at the bigger picture. For example, if your income is low but your credit and references are exceptional, a landlord may still lease you the apartment even if you fall below the income guideline. You will need to provide proof of income. This is usually a recent pay stub, or if you haven't started your job yet an offer letter from your employer showing your start date and salary. If you are self employed or freelanced you may need to show a copy of your previous year's tax return. You probably won't have a full time income. That's ok! Many owners will accept a co-signer for a student in place of income. However, your co-signer must be able to show exceptional income and credit, and typically needs to be a U.S. resident. Alternatively, some landlords will accept an "I-20" or "DS-2019" form as long as it shows adequate housing allowances to cover the apartment rent. *In some cases a co-signer may also be required to sign the lease as well. In order to take an apartment off the market in Boston you will usually need to put down a deposit, typically equal to 1 month's rent. Depending on how close your move in date is (and the individual landlord), you may be required to produce certified funds to secure the apartment (not personal checks). Certified funds would include: wire transfers, certified checks, money orders, or cash. It's important to understand the distinction between a personal check and a certified check. In order to obtain a certified check you will need to have a local bank account already set up. We strongly recommend getting a local bank account set up before arriving to Boston with at least 4 months rent in the account. Note: Boston does not have Wells Fargo or Chase branches! Popular local Boston banks include: Bank of America, Citizen's, Santander, & TD Bank. Make sure you have a bank with a local Boston branch, and at least 4 months of rent in that account. 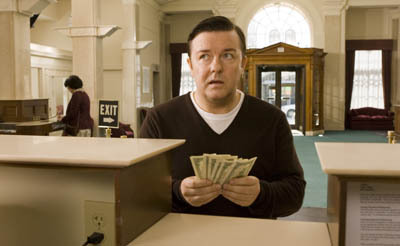 Try to set up a bank account with a local Boston branch in advance, or as soon as you arrive. This account should have at least 4 months of rent in the account. If setting up a bank account in advance is not an option, consider bringing 4 months worth of cash to put down until you can open an account. Lastly, you will need to provide proper identification to prove that you are who you say you are! 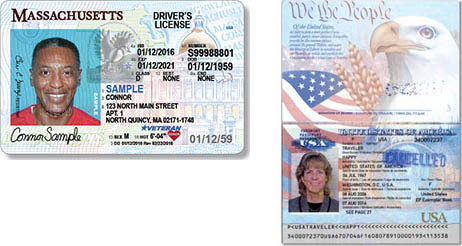 Most government photo IDs will be accepted including driver's license, government ID, military ID, or a passport. Having all of this information in hand before starting your search will help you immensely when it's time to apply for your next apartment. Ready to start your next search? Let one of our experienced rental agents help you. Contact us and we will connect you with a friendly and knowledgeable agent.